Werner's Cairns blog: The kohlrabi, an unusual looking vegetable. The kohlrabi, an unusual looking vegetable. Not many people in Australia know this vegetable. Kohlrabi is not a typically Australian garden vegetable. Its roots, so to speak, are very definitely in Europe. And the name is not a mixture of countries or religious cultures. Simply, it means "cabbage turnip". In German, "kohl" means cabbage and "rabi" means turnip. It was used in Europe a long time before it was introduced to the English, and much later the Americans. Kohlrabi is an oxymoron in more ways than its name. Its turnip, but cabbage-like characteristics are part of the Brassica family that also contains cabbage, broccoli, and cauliflower. Kohl, which is German for cabbage, aptly indicates which family this vegetable belongs to. This is a versatile vegetable; it can be eaten raw as a salad, cooked or steamed and added to vegetable soup for extra flavour. 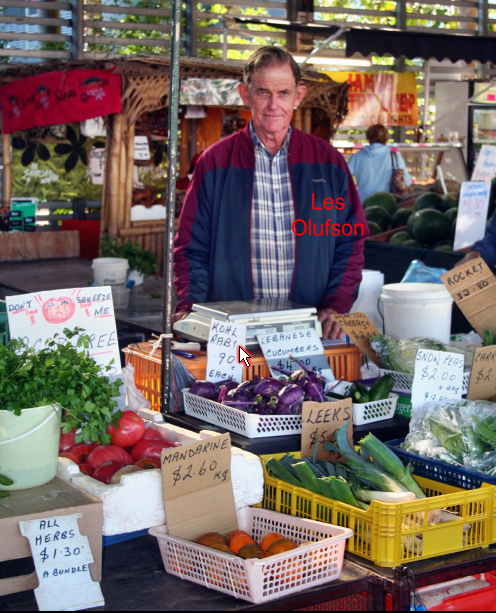 I use d to grow kohlrabi every year, till I discovered Les Olufson’s vegetable stand at Rusty’s veggie market in Cairns, where he sells his kohlrabies and other farm produce. Kohlrabi takes several months to grow and getting them from Les freed my garden plots for quicker growing vegetables. There are pale green and purple varieties. Kohlrabies are now available here in North Queensland. In other areas, ask your grocer for kohlrabi. Click on picture to enlarge. A few years ago the "Cairns Post" (our daily newspaper) published a story in the “Weekend Gardener” section by garden expert Kim Morris. 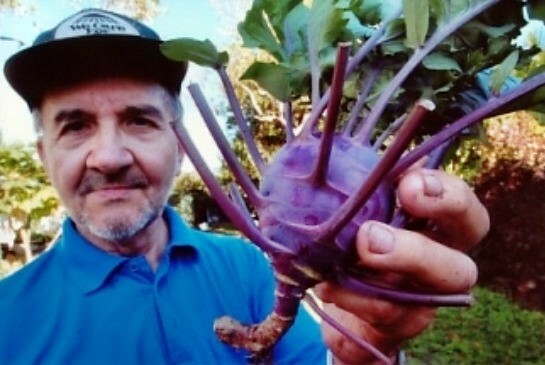 With the title: “Kim delves into the delicious sproutings of Werner Schmidlin's veggie patch.” Here is a picture with one of my Kohlrabies taken by the Cairns Post. Click on picture to enlarge. Click here and watch this interesting Australian animation and, learn more about Kohlrabi. Mr. Kohl Rabi will talk to you and explain a few things about himself. Kohlrabies are packed with nutrients; click here, to read more, below is an excerpt. As a remarkable source of vitamin C, kohlrabi helps your body absorb iron. Iron improves oxygen levels in red blood cells, which increases energy. A half cup of kohlrabi offers 245 grams of potassium, 25 I.U. of vitamin A, 43.4 milligrams of vitamin C, 11.3 micrograms of folic acid, 16.8 mg of calcium and about 10 mg of choline. It’s a low fat vegetable with only 19 calories in a half cup serving that provides a healthy 23 mg of omega 3 fatty acids and 1.5 grams of protein. Eat well, drink in moderation, and sleep sound, in these three good health abound. Anon. Wow! What an interesting posting. Thank you. I must admit that I never heard the word “kohlrabi” before. There are always new things to be learned. As a consequence; I’ll endeavour to find seeds and grow them. Thank you, Werner, for your very interesting kohlrabi blog posting. I must admit seeing kohlrabies at some time at the supermarket shelves, but I didn’t know what to do with them – now I know. I watched the animated and informative “Mr. Kohl Rabi” with great interest and then watched it again with my two children who found it also very interesting. They said that they will ask their schoolmates if they know what kohlrabi is, and if they don’t know they will refer them to Werner’s blog. Werner, the vegetable just even looks so healthy! How do we cook it? Do you have any German recipes for us with kohlrabi in? Alison, re your question, use kohlrabi like any other vegetable; slice them thinly then steam them and add a little butter on if you like. Grate them and use in vegetable soup which gives it an excellent flavour. For a raw kohlrabi salad, grate them and add French dressing on it or your favourite salad dressing. Corina, I live near Brisbane, and also enjoy Kohlrabi - both the purple and green variety, which look the same on the inside and taste the same. Some branches of Coles and Woolworths used to sell Kohlrabe, but I haven't seen it for a long time. That's probably because many people don't know what to do with it, so it may not have sold well. Your best chance would be to speak to individual fruit and vegetable shop owners, who may be willing to order it for you when it comes into season. 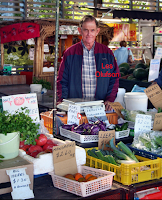 Sometimes it is also available at farmers' markets that are held at various locations in and around Brisbane. Or you could try growing it yourself. Afghanistan - Australia’s own killing field.